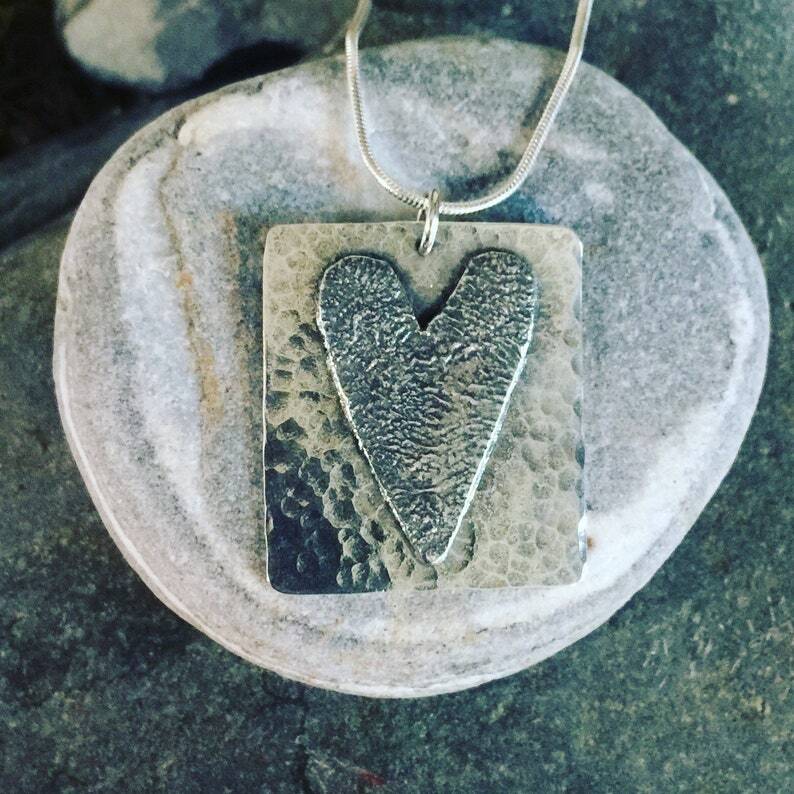 This treasure is created with a hand cut reticulated sterling silver mounted onto a textured sterling back. GRATITUDE is hand stamped on the back. Approximately 1 1/8 inches in length, 1 1/4 inches wide. Includes a sterling chain. Each pendant is one of a kind and variations in the exact shape of the heart and the texture make each one uniquely beautiful.